Mind Lab Pro vs. CILTEP presents a face-off between 2 premium nootropics for those who want to enhance various aspects of cognitive function. Mind Lab Pro enhances brainpower in surprising ways, making it a powerful, adaptable nootropic. CILTEP is a neurotransmitter-targeted nootropic stack that uses novel herbs and a breakthrough strategy to initiate optimum mental performance. But which nootropic is safer and more effective? Let’s find out in this review. 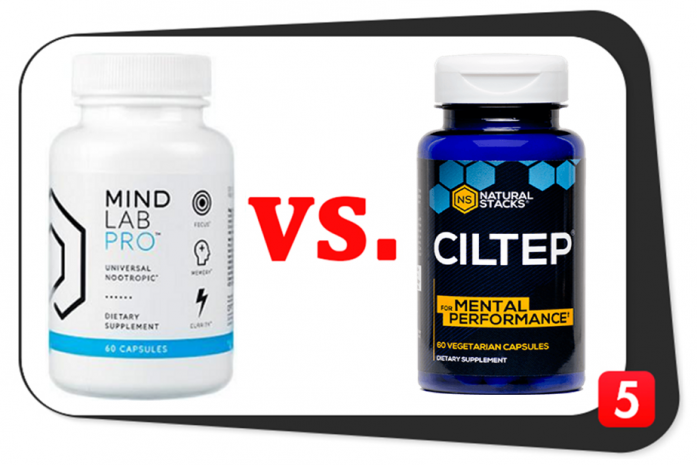 Mind Lab Pro and CILTEP are both top-quality nootropics for peak mental performance. How are the formulas of Mind Lab Pro vs. CILTEP similar? How are the formulas of Mind Lab Pro vs. CILTEP different? Mind Lab Pro and CILTEP both contain Vitamin B6. However, Mind Lab Pro offers a better form, while CILTEP offers a higher dosage. Regardless, both supplements provide more than enough Vitamin B6, so you’ll surely get enough if you take either supplement. In addition, Mind Lab Pro opted for the branded, advanced form of Vitamin B6 because it has superior potency, bioavailability and efficacy. However, CILTEP offers a higher dosage of Vitamin B6 to compensate for the lower quality form of Vitamin B6 it contains. These two powerful nootropics contain very different ingredient stacks for the most part. Well, the CILTEP formula contains 5 active ingredients while the Mind Lab Pro formula contains 11 highly potent, research-backed mental performance enhancers. And the ingredients in CILTEP are good, but the nutrient combinations of Mind Lab Pro are better. In addition, Mind Lab Pro offers generous dosages for every ingredient to effectively amplify brainpower. Overall, Mind Lab Pro truly lives up to its design as an all-natural, effective universal nootropic with some of the best nootropic ingredients. Thus, it wins the best formula in our book. Advanced Delivery Yes. Pullulan (Plantcaps® capsule) No. Plain vegetable capsule. Mind Lab Pro contains more high-quality ingredients compared to CILTEP. 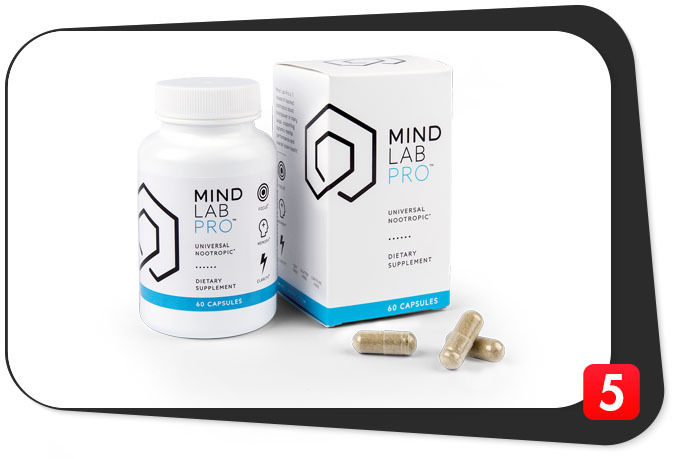 In addition, Mind Lab Pro has a clean label and a branded capsule. On the other hand, CILTEP contains unique enhanced botanicals. However, it lacks branded ingredients and other advanced forms. These prices for CILTEP are from Amazon in 2018. You can also shop for CILTEP at other retailers, namely GNC and Bodybuilding.com. You may even be able to find a better deal on CILTEP if you buy from a retailer in your neighborhood. But you can only buy Mind Lab Pro on their official website: www.mindlabpro.com. CILTEP contains fewer ingredients of lesser quality than Mind Lab Pro, which probably explains the cheaper price tag. However, Mind Lab Pro and CILTEP can both deliver powerful benefits. The main difference between them is the mode of action for cognitive enhancement, hence the very different ingredient stacks. Mind Lab Pro contains 11 high-quality branded ingredients while CILTEP contains only 5 potent, unbranded ingredients. Surprisingly, Mind Lab Pro and CILTEP have a price difference per serving of only $0.02, However, Mind Lab Pro can deliver considerably more benefits than CILTEP. In terms of pricing, CILTEP is cheaper than Mind Lab Pro. But Mind Lab Pro contains more advanced, branded ingredients with proven benefits compared to CILTEP. Thus, you should go for Mind Lab Pro if you’re looking for a fool-proof formula with a decent price for the quality. Mind Lab Pro vs. CILTEP: Which is Better? Mind Lab Pro is the better supplement because it really delivers on the results it promises. Not to mention, it still remains the #1-ranked nootropic supplement of all time. The CILTEP formula is an innovative one, specifically targeting social, strategic and motivational thinking. CILTEP is also a solid nootropic formula. However, the universal nootropic Mind Lab Pro is superior to CILTEP in various ways. The nutrient combinations and high-quality ingredients in Mind Lab Pro make it a fool-proof formula that can unleash 100% brainpower. It may be slightly more expensive than CILTEP, but it is definitely worth every cent. And if you’re looking to explore more nootropics, head on over to our guide on the best nootropics of 2018.